Taurus Start new projects with new courage. This could be an exciting month if you have a home-based business, or work in a field related to hospitality, food and entertainment. Accept invitations, establish new contacts and build on a new circle of friends. It could also mean that domestic demands could challenge your career plans or a struggle between personal and professional matters. Speaking of career, you could receive an offer that seems to be absurd at first glance but try to look at things from a different point of view to realize that it isn't crazy after all. In love, show interest in your partner. If you just pay attention, you will discover that he/she isn't such an open book for you as you thought. 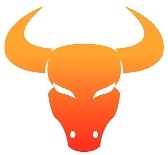 Taurus A conversation with your partner that should have been done a long time ago, would take place today, Taurus. Be an adult and try to come up with honest answers. You need to set parameters and each party need to understand their boundaries. Only then will peace return to your relationship. In anything that involves decision making, be careful not to let anyone force you to take decisions you are not ready for. You may not have the answers right at the moment but it will come with time. There's a seductive vibe in the air that you can't resist. If you are still single, you can expect some romantic moments too.